It's been a very long time since I have picked up an issue of Seventeen magazine or even pulled up the site. Sure, I like to see what the kids are doing, from time to time, but it's not usually via these means and I am 30 years old here people! So imagine my surprise when I just found myself spending a copious amount of time on Seventeen's site today. As an avid Nanette Lepore and JC Penney fan, I was immediately intrigued by one of Nanette's tweets asking for support in an effort to end teen cyberbullying, via the Delete Digital Drama Campaign, which you can guess was something Seventeen has put together. I personally feel that this is a really important matter because 1. Being a teenager has never been and never will be easy 2. Teens, as well as adults, can use the internet as a means of bullying, whether it's blatant, aggressive or passive aggressive... it's never cool. This isn't just an issue that affects teens, though this effort is geared towards them... and sending hurtful messages is NOT OK. 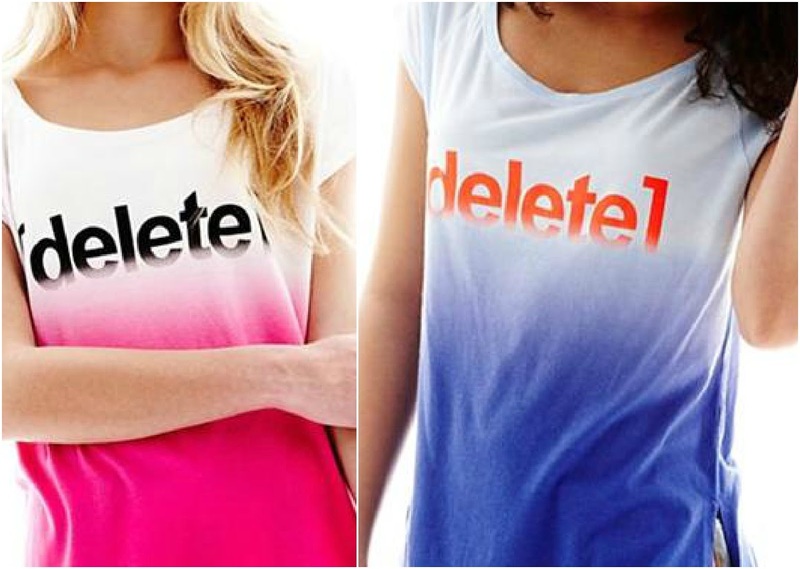 In addition to deleting any insulting comments or sending supportive messages to friends who have been bullied, pick up this awesome, ombré tee designed by L'Amour by Nanette Lepore! It's only $10 at JCPenney, and 100% of the proceeds will benefit STOMP Out Bullying, a national anti-bullying organization. I ordered mine in blue. Will you grab one to support this awesome effort? Cute, I like this shirt and it's a GREAT cause! I'll definitely order one! They priced it right so ever teens can afford a $10 tee... I think it's a great concept! I do too! I am a big supporter of this cause! I am disappointed. JCPenney no longer offers this shirt. I want one and want to give one to my 12-year-old niece that was a victim of cyberbullying! I cannot believe it was only available for 3 months. Cyberbullying is still out there. Nice looking T-shirt.Thanks for shareig..